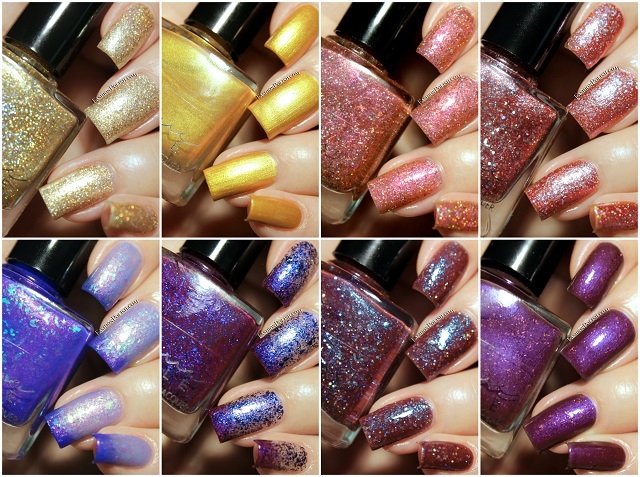 Fashion Polish: Femme Fatale Dune Collection swatches and review! Femme Fatale Dune Collection swatches and review! I have yet another awesome collection to share with you guys today, inspired by the 1965 science fiction novel, Dune by Frank Herbert : the Femme Fatale Dune Collection! The first thing thought when I saw them was wow shimmer alert! Let's give them all a closer look. Formula was, as usual with Femme Fatale, nice and easy to work with on the entire collection. I used 2 coats plus topcoat in all of my swatches. Grandfather of the Desert is a light gold glitter and holo mix. Sandscrawler is a yellow gold with a slightly duochrome shimmer, shifting from greenish gold to orange. Secret Coinage is a mix of pink, copper and holo shimmers and glitters. Reverend Mothers is a mix of reddish orange, blue and holo shimmers and glitters. The Weirding Way is a mix of brown, icy blue and holo shimmers and glitters. Blue-Within-Blue Eyes is a bright blue fading thermal with a strong magenta shimmer and tons of icy blue flakies. 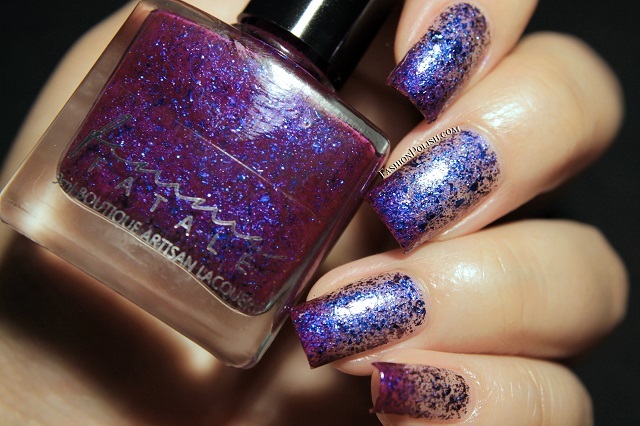 Voice of the Outer World is bright purple fading shimmer packed with multichrome flakies. 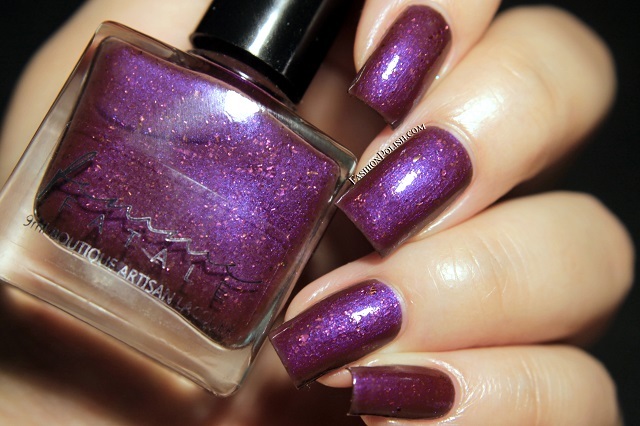 Genetic Memory is a brown base filled with dark purple shimmers and multichrome flakies.